I enjoyed this book immensely; it offers sensible advice and says new things in an accessible way. 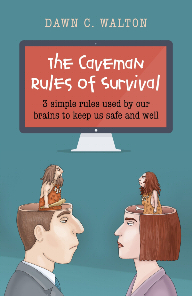 All my research is geared towards helping us understand why we are as we are, and why we act the way we do, and “The caveman rules” clearly helps us to do those things. It could be as big as “Emotional intelligence”! One day, when my daughter was around 3 years old, she started asking "Are you happy mummy?". I would answer "Yes" through gritted teeth. I hated lying to her. Due to a pretty grim childhood, I hated everything about myself and my life. Because of that childhood, I have been conditioned not to talk. Not to reveal the secrets of what went on at home. Keep up the front and don’t ever tell. But that conditioning didn't apply to the written word and over the last few years I’ve discovered that I can write what I can’t speak. In June 2011, I embarked on a journey to transform myself, and I found that it helped me and others to write down what was going on in my mind. This book describes that journey – a series of blog posts tracking how I transformed from a person who hated living, a person who never looked forward to the next minute let alone the next year and a person who was unable to appreciate the people and things in her life. I transformed in the space of a year into a person who loves her life, loves her friends and family, and even more importantly, loves herself. As you read this book, you will share my journey from the night before my first session with the founder of Cognitive Hypnotherapist called Trevor Silvester, right through to the point where I was answering “Yes, I am happy” honestly to my daughter. By the way, she never asks anymore because she knows the answer will always be “yes”! When I got to the point of publishing my blog posts in “Nothing Needs to be the Way it’s Always Been” I thought that I had reached a point where I was “fixed”. A point in time where sharing my story would show how far you could come in a relatively short space of time. And in fairness, that’s what it did show. However I was wrong on one thing. I had not reached a destination. Life, it seems, is not actually about reaching a destination. Instead it is about the journey and the path you travel and the things that you learn along the way and sometimes that things that change you. And so my journey continued. I have learnt that life is not a race. And it certainly isn’t a race you want to win. There is no destination to head for so you may as well spend as much time as you can in the moment. Take everything you possibly can from this moment in time because it will pass too quickly and you’ll be on to the next one. 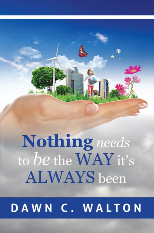 This is what I have learnt and will share with you through the collation of the blog posts in this book. 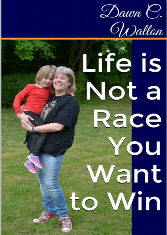 Life is not a race and if you think it is, take a moment to consider what reaching the finishing line really means. 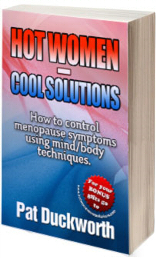 A practical guide to help you make decisions and take action to manage your experience of menopause. This book is from Trevor Silvester, founder of Cognitive Hypnotherapy, transformer of lives, teacher extraordinaire and generally nice chap. How to live with the one you love. Lovebirds does for love and science what Linda Goodman's huge bestseller Lovesigns did for astrology. LOVEBIRDS includes a multiple choice test so that you can discover which type you - and your partner - belong to. Then there is a description of each type - what makes them tick, their likes and dislikes, how they tend to behave, their body language, what they tend to look like, the line of work and hobbies they are likely to choose, their hopes and fears. So in this section you can read about yourself - and your partner. 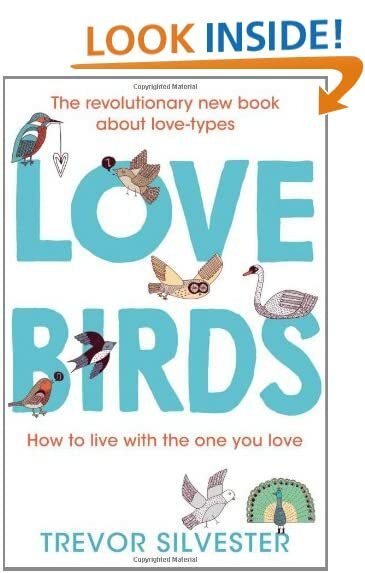 The final section looks at all the different possible compatibility combinations between the types, showing how misunderstandings can arise and giving advice on how to keep love between the different types of birds going and growing. Emma is having a difficult week. She's got a maths exam looming and her teacher hates her. Her best friend is too caught up with her boyfriend to help her. She has no other friends to talk to, and to top it all off, two total strangers have started sending her WhatsApp messages that she's actually starting to listen to. Follow a week in Emma's life where she learns how to navigate online trolling, best friends, boyfriends and family. This book is based on the principles in "The Caveman Rules of Survival" by the same author. 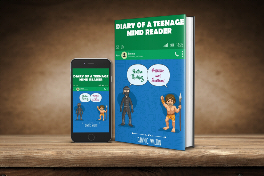 This fiction book is designed for Teens and Tweens to help them navigate the stuff that makes their life challenging. 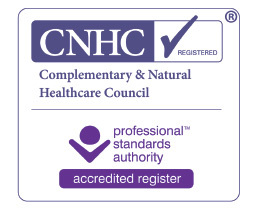 It addresses exams, teacher problems, boyfriends, family and self-image problems, amongst other things.